Tennessee has been a victim of the Peter Principle. Let’s see how he does with Bryant this year. Maybe he’s good and maybe he’s not. He sure blew it at the end of their bowl game. Overall he did have a solid year though. The question is can he do it consistently? He’s been a dc four times. Three of those stints only lasted 1 year, and one lasted two years. Yep, some people are great division commanders but can't handle a corps. I don't think that Sal is 'great' at anything. He is perhaps passable as a position coach. In the Saban era, this is the first time that I've thought that Bama has dropped off significantly in the skills of the coaching staff. Good points. Having an NFL QB helps tremendously. 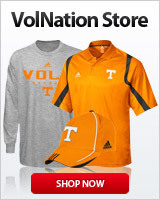 I was meaning there were many Vol fans that thpught Dooley would screw their offense up and he didnt. Hopefully he does. Although Bryant isnt a scrub by any means and they still will have a very good, balanced offense. They will be a very difficult game for us yet. Again. Lucifer's Vessel has his process. He needs continuity. Having been on Nick's staff before, Sal Sunseri should fit right in. that little “nap” he took in Spring Hill was pretty costly. Dooley made the decision to go 3-4 without having the personnel to do it. Sunseri failed but might have done better with the right players. Some people can juggle (DC), others are one-handed, hairy-palmed whizzer grabbers. Ever seen Sunseri's hands?